Sherrie Scraps with passion: You make my heart beep! I hope your having a great day and had a wonderful weekend! latest release! 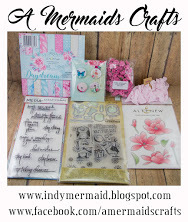 I couldn't wait to use some of the new dies and stamps~so many fun ones in this release and a lot of possibilities! I started with a white card and followed with layers using pattern papers fro Recollections. I have distressed the edges with the Zutter DIA for a fun look. The heart is My Creative Time's Heart 2 Heart Love Frames which I made a shaker with. I cut out the base heart layer, then the heart with the love on it~cut about 6 times to give it a little height to create the shaker window. I stamped a fun sentiment to the center using Best Bots Forever and finished with little sequins. I layered a heart on top which was cut out of acetate and adhered it in place. I place one more heart layer with the love on top, adhered it in place and done. The little robot is also from the Best Bots Forever. The set comes with the stamp to stamp the image and coordinating die so you don't have to fussy cut around it, yeah! I colored this cutie with copics and touched up with the Wink of Stella pen for a little sparkle. I tied on SU lost Lagoon ribbon and tied a bow. I finished with a red jute bow and a red embellishment to the center. super cute Sherri, love that pop of turquoise, looks just perfect, I think I will make a shaker card too, thanks for the inspiration! WOW!! what a great shaker love the design and the distressing. Have a Blessed day, DIANA L.
AWWWW what a cutie of a Valentine card...Love how you created your shaker. You really got super clever and creative with all of Miss Emma's goodies. YOU so ROCK!! Oh Sherrie, this is so adorable!! It makes me smile!! I love how you made the heart die a shaker!! The little fem-bot is absolutely adorable!! I love the papers and the pop of turquoise!! What a fun sentiment!! This is so sweet!! I just love it!! This is so cute Sherrie! I love that you made it a shaker card, so awesome! I haven't done much lately I've been at my daughters taking card of her and her family. I have missed it!! Super Cute, Fun and TOTALLY cool!! Love the color combo,shaker heart and pretty ribbon! Super cute shaker card, such a fun design and awesome color combination! Love the little robot too, just adorable! This is SOOOO ADORABLE!! Love that shaker heart!!! So glad you joined us at Anya, Oddies,and Others! Super cute card Sherrie! Love the fun shaker and sweet image! Oh wow! What a beautiful card! Everything about it is perfect!! This card is so much fun! I love all of the distressing on it. I am stopping by your blog from DoubleClick Skittles Challenge. Sherrie this is one cute Shaker card. Love the robot and how you distressed the edges. Love it! 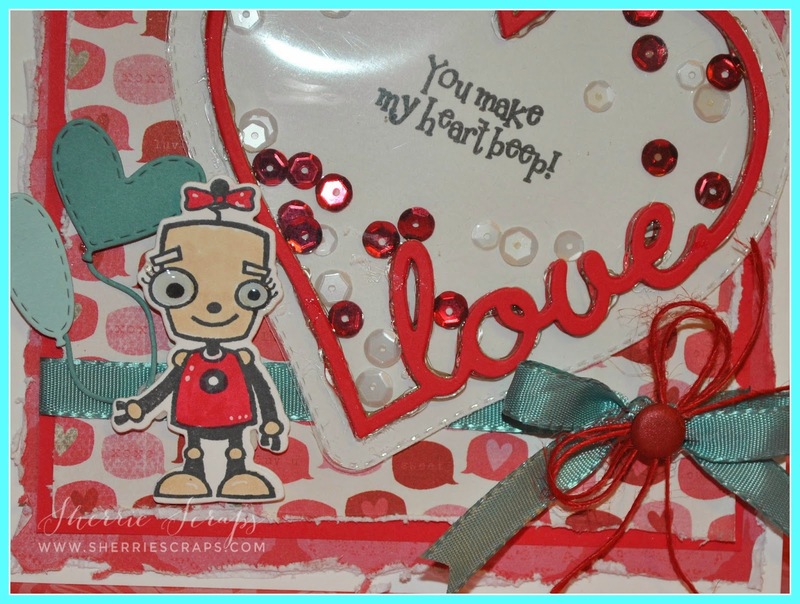 Love your little robot he looks good on your shaker card.... love all the festive details too! What a adorable shaker card!!! Love the pretty papers and the distressing on it!!! Have a great day. This is so cute Sherrie!!! 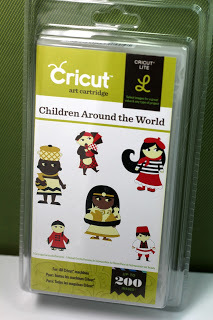 MCT has some adorable stamps and dies. I really like how you paired up a few of her sets here to create this gorgeous shaker! What a super sweet card! Love love love love this! LOVING the heart, the sequins and the little robot!!!!!!! Love it!! YOu might have to teach me how to make one like this!!! LOVE!! 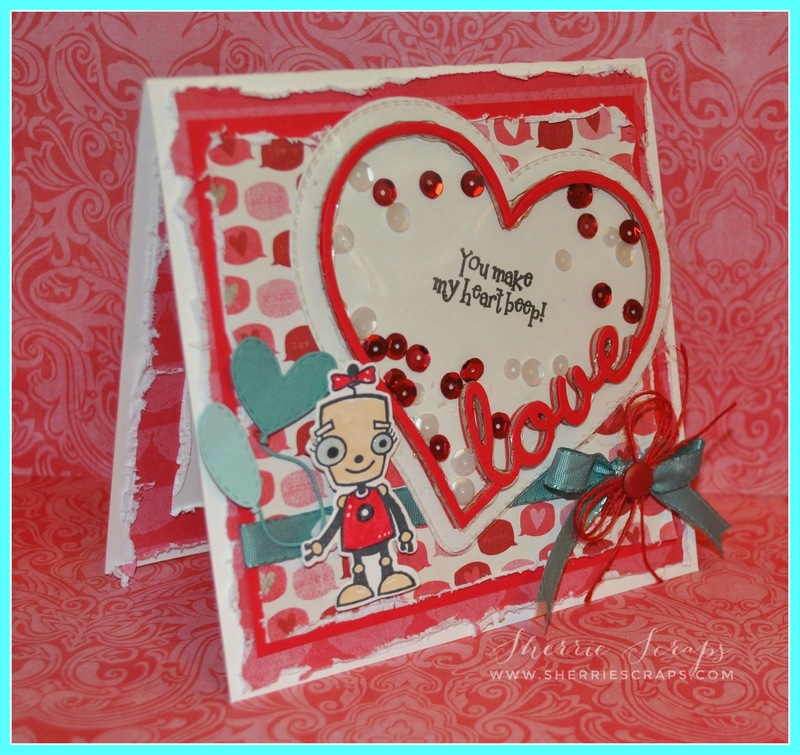 Such cute "retro" colors for your sweet card, Sherrie. I love shaker cards, they just make me smile! Your robot is a cutie and I know that someone is going to be so happy to receive this sweet treasure. What a delightful card, Sherrie! Thanks for the evening smiles, and for sharing with us at Great Impressions! LOVE how you used the new MCT goodies!!!!! Congrats on your retirement and the upcoming birth of your grandbaby! 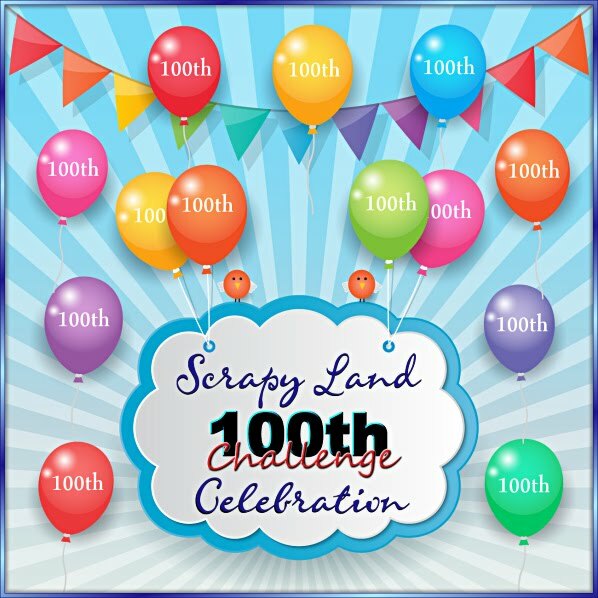 I can not wait to see pics!!!!! This is so fun !!!! I adore the techniques and design !!!!! So cute my friend !!! Oh my gosh - this card is seriously ADORABLE! Cute, cute, cute my friend! 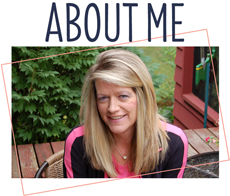 Sherrie ~ Hello sweet friend ~ I am so far behind on blogs and FB but I promise to get caught up but oh goodness CONGRATS on that BEAUTIUFL baby!! EEK! I did see it real fast but promise to head over in the next day or so! Well isn't this card simply PERFECT and ADORBS!! Okay LOVE the Zutter affect! EEK! One suggestion ~ children's foam at M's or j's ~ less paper and gives the same amount of dimension! Plus your "eldest" grandchild will LOVE using it too! AMAZING creation as always.... Hope your staying warm ~ we are doing our best here and we are never as cold as you all! Of to stalk some more!